Blade Runner 2049 Official Trailer Released! 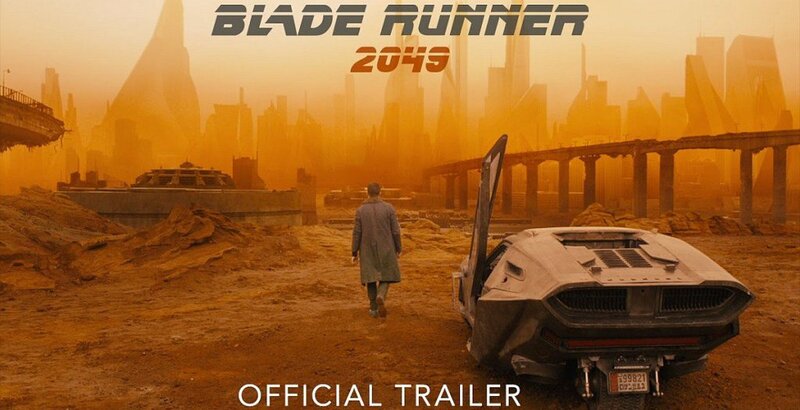 Warner Bros have released the full official trailer for Blade Runner 2049, the Blade Runner sequel is set 30 years after the first film and judging from this first full trailer the movie looks amazing. I was nervous when they actually started to suggest a sequel. I always kind of thought the fact that there was a sequel meant that it original changed and I loved the ambiguity. But I have to admit, this looks pretty damn sweet. And I cant wait.. Fingers crossed. Thought this trailer for Blade Runner 2049 was really good, very stylish. The few scenes look great, and I’m glad Ridley Scott has returned for this movie. It played a special part in his life I read which I had metioned in my review and I loved the first one for the stylish but great storytelling. Sci-fi should be only as good as it’s story so I hope it will be as it shows. Yes, Blade Runner 2049 is directed by Denis Villeneuve. He made the 2016 film Arrival, that was a good movie, have you seen it? Yes I have. I agree, I really enjoyed it which I wasn’t expecting to as much. It’s a different approach to storytelling an ‘alien’ movie. It had depth to it. I only saw it recently, thought it was a great film as well. A very fresh take on the genre. It does look really good. They seem to have captured the tone and style of the original film, just hope they do the story and the characters justice. There are a lot of famous classic movies I’ve never seen, and Blade Runner is one of them. I kind of feel like I should sometime soon, and before I even watch any trailers for the new one. Really? Well, I’d certainly recommend Blade Runner. Its got a great story, stunning visuals, and there’s a certain ambiguity to the plot that I really like. If they can match the tone of the original in the new sequel, then I think we will be in for something very special from blade Runner 2049. I respect the original but I’m not necessarily a big fan of it. This has my interest though and I did really like Arrival last year so, it has that going for it as well. I may have to revisit the original, maybe it will grow on me.